In his most ambitious novel to date, Phillips creates a dazzling kaleidoscope of historical fiction, one that illuminates the dark legacy of Europe's obsession with race and blood. 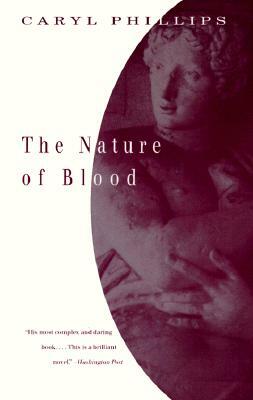 At the center of The Nature of Blood is a young woman, a Nazi death camp survivor, devastated by the loss of everyone she loves. Her story is interwoven with a cast of characters from both the present and past: her uncle Stephan, Othello the Moorish general, three Jews in 15th century Venice, and an Ethiopian Jew struggling for acceptance in contemporary Israel. Tracing these characters through disparate lands and centuries, Phillips creates an unforgettable group portrait of individuals overwhelmed by the force of European tribalism. Caryl Phillips was born in St. Kitts, West Indies, and brought up in England. He is the author of numerous works of fiction and nonfiction. His novel Dancing in the Dark won the 2006 PEN/Beyond Margins Award, and an earlier novel, A Distant Shore, won the 2004 Commonwealth Writers’ Prize. His other awards include the Martin Luther King Memorial Prize, a Guggenheim Fellowship, and the James Tait Black Memorial Prize. He is a fellow of the Royal Society of Literature and currently lives in New York.